s little kids we’re often told we’re more ‘right brain’ or ‘left brain’ – essentially you’re more analytical and science driven, or you’re more creative and artistically driven. But while its fine for people to skew more in one direction, it’s a mistake for companies to lean too far either way, as they can negatively impact their pipeline growth. 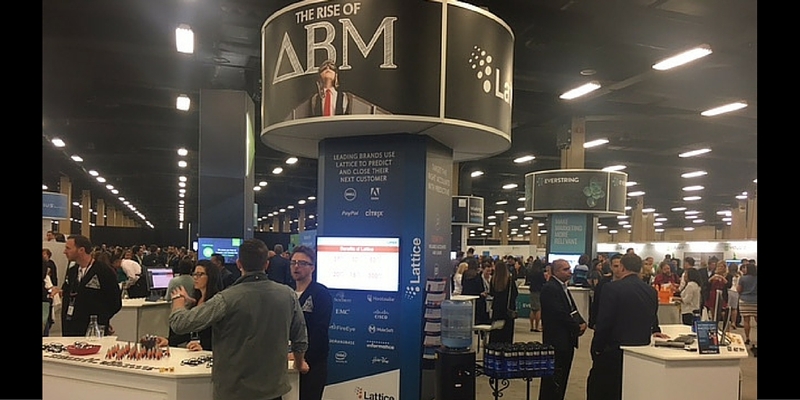 At this year’s SiriusDecisions Summit, the theme focused on helping companies find the right combination of art and science to see intelligent growth within their business. Multiple sessions touched on the need for companies to use advanced analytics to support the creation of engaging, personalized buyers journeys that will enhance the customer experience and ultimately lead to more purchases. I’ve talked before about how I think there needs to be a resurgence of storytelling in the B2B world. And SiriusDecisions agrees, Senior Research Director Kerry Cunningham has advocated that in a world of more advanced analytics we actually have to become better storytellers. The art of telling compelling stories – using analogies, metaphors and images – is now critical for communicating the complex results of data analysis. However, in the world where we have an unending stream of data about customers and prospects at our fingertips, we also need more data scientists who can help companies analyze data and identify the most important buying signals. Because for any organization, its not just about creating demand programs, it’s about creating intelligent, targeted programs that will guide your prospects and customers through a customized buying path. Its about giving your sales and marketing teams the tools to target the right accounts and contacts, so they can create messaging that will resonate with these accounts, and help them engage. In fact, according to the SiriusDecisions 2016 Customer Experience Study, 80 percent of respondents made a purchasing decision based on their own experiences with the selling organization, which shows just how crucial it is to have a personalized buying journey. 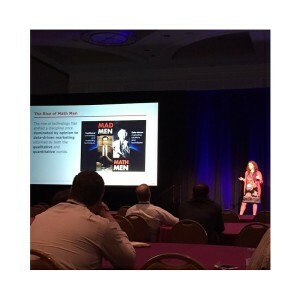 Lattice customer Marina Schubow of CDW highlighted this when she presented a case study at Summit, and dedicated it to the combination of the Mad Men and the Math Men. In her highly analytical organization, they’re ingesting data from a variety of internal and external sources, all with the goal of creating a 360-view understanding of what each customer needs, and creating 1:1 customer journeys. This information is then utilized to make sure that prospects and customers are put through highly customized digital marketing and sales campaigns, all of which have specialized messaging intended to resonate with their particular pain points. 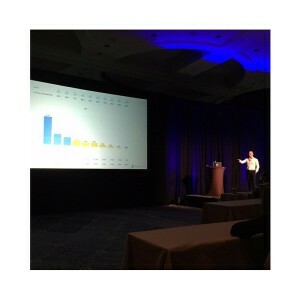 Another Lattice customer, Alex Papillaud of Intel Security, also touched on the subject during his presentation this year, when he discussed just how bad a job most companies are doing identifying the right leads for their company – 87% of all MQLs don’t convert according to some studies. He made the point that companies need to use data in smarter ways to make sure they’re only focusing their storytelling efforts on the right accounts. Because it doesn’t matter how amazing your company’s messaging and storytelling is, if you’re sending that content to the wrong person it was a wasted effort. Clearly, aligning data with storytelling is an issue that many B2B companies are struggling with, and will continue to work on over the next 12-18 months. However, based on what SiriusDecisions presented, its clear those who can manage to find a balance between the two will see exponential growth. What is your company doing to make sure that storytellers and scientists are working together to improve your marketing and sales efforts?